More Rusty Rides, left to rust away.... Photo Picture Classic Cars for sale & Classifieds - Buy Sell Classic Car & Classic Truck Classifieds. family went on a trip in the woods,never found again......Just kidding. If you planted a tree and wanted it to grow inside an engine compartment, it wouldn't grow for beans. Left to nature, they seem to thrive. This one for many many years. 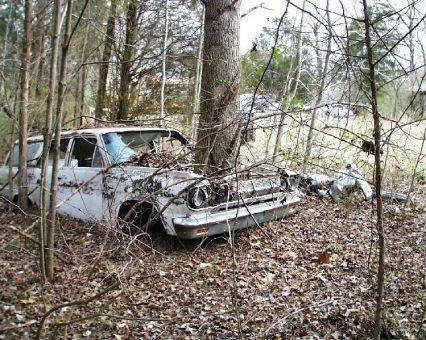 That Rambler has been there for a long time!